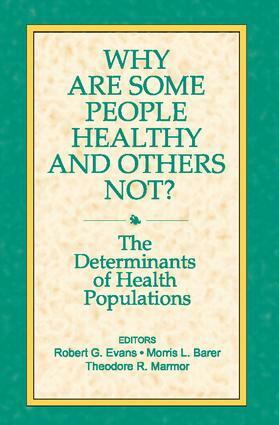 Each topical chapter in this volume crystallizes the findings of a five-year study, under the auspices of the Population Health Program of the Canadian Institute for Advanced Research, that probed the links between social hierarchy, the -macroenvironmental- factors in illness patterns, the quality of the -microenvironmental, - and other determinants of health. In its aggregate, this volume will prove essential to an understanding of the underlying public health issues for the next several decades. The Determinants of a Population’s Health: What Can Be Done to Improve a Democratic Nation’s Health Status? The Future: Hygeia Versus Panakeia?